Yesterday, Oregon announced an extension of Head Coach Mark Helfrich‘s contract. The deal (five-years, $17.5 million) will make him the Ducks’ coach through the 2020 season. Helfrich has gone 24-4 since taking over the job after Chip Kelly left for the NFL, and he has been rewarded for his success. Chip Kelly went 22-4 over his first two years while Helfrich has gone 24-4. 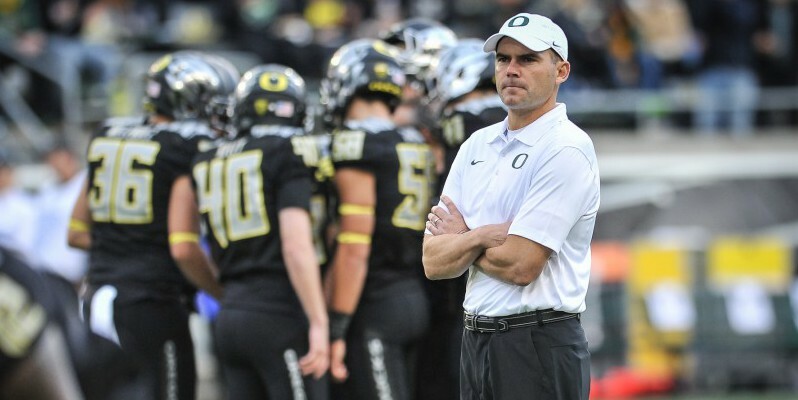 Helfrich is an Oregon native and grew up an Oregon fan, so in my opinion, he is the perfect man for the job. Not only has he been successful on the field, reaching the national title game this past year, but he has succeeded in recruiting as well. The Ducks signed the No. 15th-ranked class according to ESPN, and Helfrich is also the man who found Marcus Mariota for Chip Kelly. Understanding the “Oregon way” has proven beneficial for 41-year-old Helfrich, who is one of the youngest head coaches in the FBS. If he is able to continue his success and keep Oregon a top-tier program, Helfrich could very well become the greatest Oregon coach ever. Let’s talk numbers. Under the new deal, Helfrich is set to make $3.15 million in the first year, and up to $3.8 million in the last year of the contract — not including incentives. Compare that to Nick Saban’s $7.2 million dollar per year contract, and the Ducks might have gotten a steal. In fact, Helfrich wouldn’t even rank in the top-20 highest-paid coaches in the FBS. There are three Pac-12 coaches ahead of Helfrich on the list: Washington’s Chris Petersen ($3.7 million), Arizona’s Rich Rodriguez ($3.3 million), and UCLA coach Jim Mora ($3.3 million). 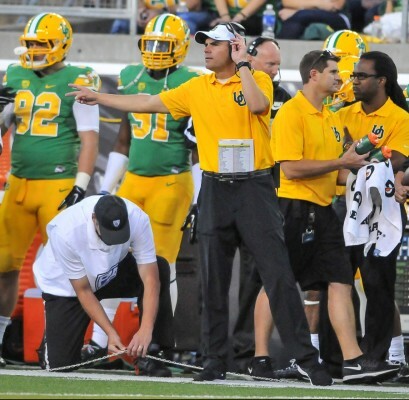 Before the extension, Helfrich was ranked No. 51 in terms of highest-paid coaches in the FBS and No. 8 in the Pac-12. 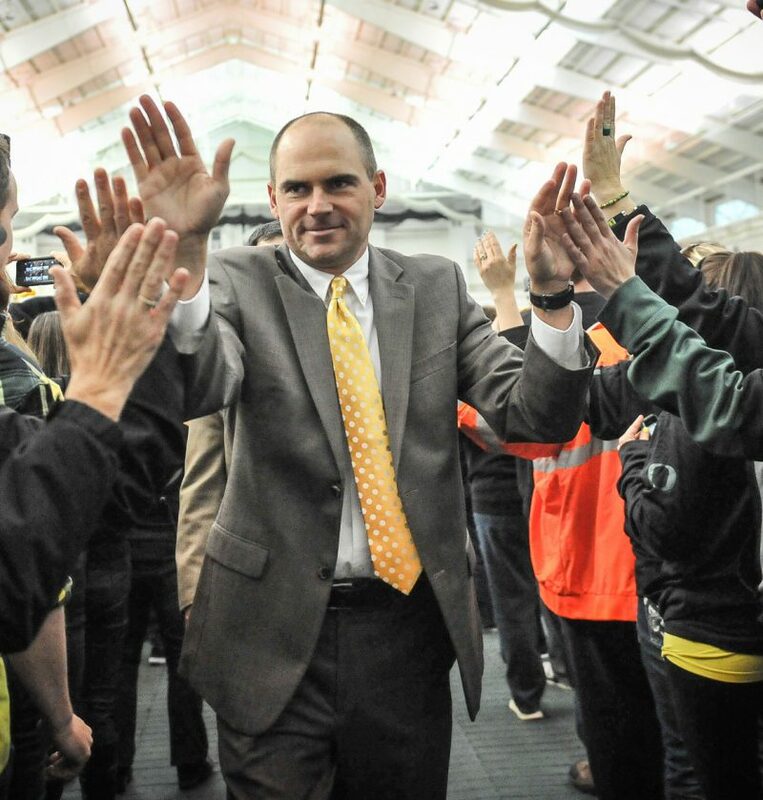 There was uncertainty when Helfrich took over the program in 2013, and rightfully so, as he was the coach following the most successful coach in program history — Kelly. But Helfrich has shown he has what takes to be a great coach so far; winning the Rose Bowl and taking the Ducks to the national title game in his second season. People will still say it was a team that Kelly built, and that’s fair for now. But Helfrich is an Oregon native, a lifelong Duck fan, living his dream job and winning while he is at it. He should be around for a while. I believe in Coach Helfrich, Oregon definitely believes in Coach Helfrich, and so should you.